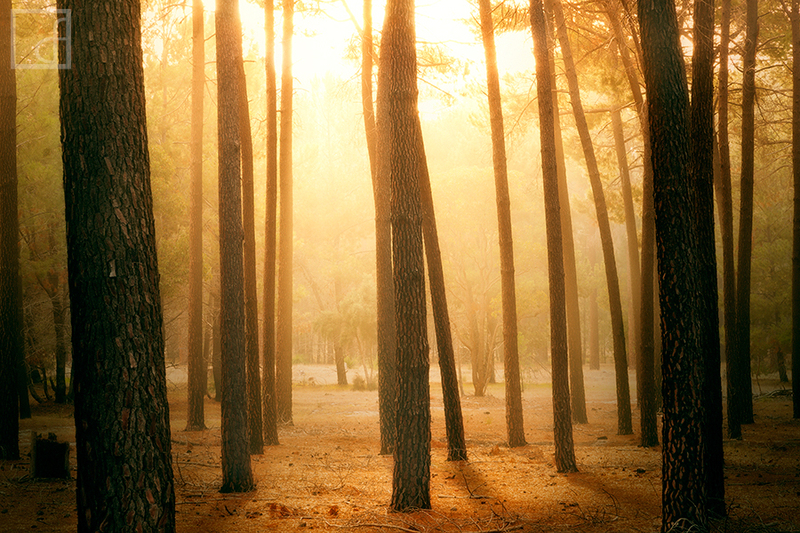 For quite some time I had thought there could be some decent photographs inside Perth's Gnangarra Pine forests. I finally decided to drive up to scout the area and after leaving thought there may be some nice shots, I just had to wait for a foggy morning. I thought I would be waiting and watching forecasts for at least a couple months but as luck would have it, the forecast for the following morning was for a foggy start... and indeed it was! I walked around shooting some moody scenes with the thick fog before deciding it was simply to overcast for the sun to break through at all. Literally as I picked up my gear and made about 4 steps back in the direction of the car, a warm glow started to appear. I stopped and watched the warm morning light break through and create an awesome scene. The light was stunning! I was so wrapped! What an awesome way to start the day! Secure your limited edition, Pine Forest photographic print, 'Morning Haze', by selecting your desired print size in the menu to the right.